Recycling is a process, in which used materials of different kind are processed and changed into new useful form. Through recycling you can reduce the waste that goes into landfills. 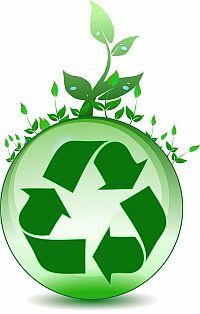 Recycling also bring down the price of the materials, which are manufactured by using recycled waste. You can recycle almost everything like, paper, water, plastic, metals and computer and make them useful things for daily use. These things take years to sit down in a landfill. The life of recycled materials goes on until they finished. For instance, a used pop bottle can become same bottle after recycling. Several stores have had bins for returning used plastic grocery bags. Each home produces about 30 million tonnes waste in every year, in which 60% can be recycled. Many towns and cities have recycling centers. Recycling is done in three steps: First waste materials are collected, second these collected materials are processed, then converted into new things, and the third is consumers. It is very easy to explain recycling, but its implementation is difficult. When you turn a product into the new one, the original product gets recycled. When the product is recycled, then natural resource consumption becomes slow down. 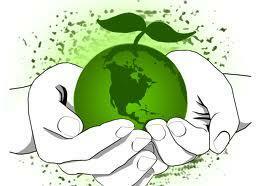 In a result, the environment gets saved, landfills preserved and definitely energy is conserved. It is an interesting thing, that in 2006, the paper that recycled in the US was more than consumption, 53.4% used paper was recycled. This figure reflects the domestic waste’s level only. Whenever you take the total figure of the waste in the US, this comes in about 440 million tons a year. This big figure of waste paper is very terrible. You can fill Wembley Stadium with this waste just in a week. Paper is recycled by mixing fresh wood pulp and waste papers to produce new papers. Paper could be recycled only 5-6 times, because the fibers become very weak. In the US alone, the consumption of plastic bottles is about half million per hour. These are every kind of bottles, such as, water bottles, health products bottles, milk bottle, cleaners, juices and oil bottles etc. Most of bottles go to the dump. Recycling of plastics uses half of the energy than burning. Plastic recycling companies have increased about 80% during 1990 to 1999. The demand of water increases, along the population growth, solution of this problem is reuse of water. Recycled water is taken from sewage and after treated, it is reused. It is used for laundry, car washes, fire fighting, road cleaning and toilet flushing. Recycled water for potable use is not popular among the masses. The scientists and environmentalists have shown concern about computer disposal. The recycling of computer relates to society, finance and also save energy. The environmental benefit of recycling computer reduces greenhouse gases, pollution and climate change. Yet, only 15% computers is recycled into new components. Computers contain plastic, glass, ferrous elements and circuit boards that could be used in diverse equipments ‘production, for daily use. All kinds of metals could be recycled into other metals, and these recycled metals could be used for making new products. Recycled metals protect your environment and also save energy consumption. If you all take part in the recycling campaign, it will keep us safe and sure, our planet will be pollution free.